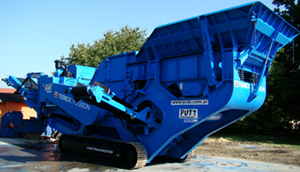 The Putz Recycling company is the largest seller of spare parts for crushers and screens in Poland. We offer the highest quality products and have the largest warehouse, thanks to which we are able to deliver almost any product to the most popular brands in the shortest time. The most popular brand of stationary crushing machines in Poland is Makrum Bydgoszcz. These crushers were produced throughout the post-war period. These crushers are famous for their reliability, and due to their continued popularity, the availability of spare parts is very large. We offer jaws, ie crushing claddings for the most popular models, i.e. On request, we can supply any other spare part to the above machines. and newer crushers from the KDH and KDC series. We also have original parts directly from producers' factories, such as PVG valve blocks, electronic modules and many more. The last type of mobile crushers are cone crushers, used to crush the hardest material into a small fraction, most often producing aggregate for asphalt and concrete. Cone crushers are machines for secondary or tirtiary stage. Cone crushers are characterized by a high purchase price, however, low cost of operation, being in practice the reverse of impact crushers. 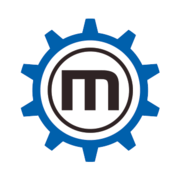 The most popular mobile machines are: Pegson 900, Pegson Maxtrak 1000, Pegson Maxtrak 1300, Metso HP 300, Finlay 1540. Cone crushers are characterized by a very large number of spare parts. The offer includes: crushing cones, crushing mantle, seal rings, sleeves, bearings, counterweights, driving gears, main shafts, intermediate shafts, ball bearings, thrust bearings and many others. The most known vibrating screens in Poland, when it comes to stationary machines, used, are undoubtedly the ŁZG Łęczyca machines. The most popular models are: WPB 521, WBP 531, PDB 821, PDB 831, for these machines we have, among others: leaf springs, springs riddles, sieves, tensioning strips and others. Mobile screens are divided into two categories: wheeled and tracked, the other category are final screeners and scalpers. The most scalpers are: Powerscreen Warrior 1400, Warrior 1800, Extec E7, Finlay 883, Extec E8, Sandvik QE340, Sadnvik QE341. The most common final screens are: Powerscreen Chieftain 1400, Chieftain 1700, Chieftain 2100, Chieftain 2100X, Extec S3, S4, S5, S6, S7, Finlay 683, Finlay 693, Finlay 694. The screens are divided into one,two-deck or three deck. The assortment of spare parts for the aforementioned machines is as follows: mesh (plaited, stringed, slotted and harp screens), sieve fixing strips, springs, HRC clutch couplings, bearings in the UCF and UCP enclosures. David Brown hydraulic pumps (currently Hydreco), Sauer Danfoss, Parker hydraulic motors, rubber profiles under mesh, tape staples and many more.